The Congress on Tuesday said the "real tribute" to Sardar Vallabhbhai Patel would be that his order banning the RSS should be placed at the foot of the 'Statue of Unity' in Gujarat. Senior Congress leader Anand Sharma, at a press conference, alleged that the Bharatiya Janata Party does not have any idols of its own and highlighted that Patel was from the Congress and also a former president of the party. His remarks came a day before Prime Minister Narendra Modi will dedicate the world's tallest statue the 'Statue of Unity' at Kevadiya in Gujarat. The 182-metre statue of Patel will be dedicated to the nation on his birth anniversary in Narmada District of Gujarat. "Probably Prime Minister Narendra Modi does not know that after the Bardoli Satyagraha, the Father of the Nation gave the title of Sardar to Vallabh Bhai Patel and on 4th February, 1948, Home Minister Sardar Vallabh Bhai Patel had issued a hand written order banning the RSS. 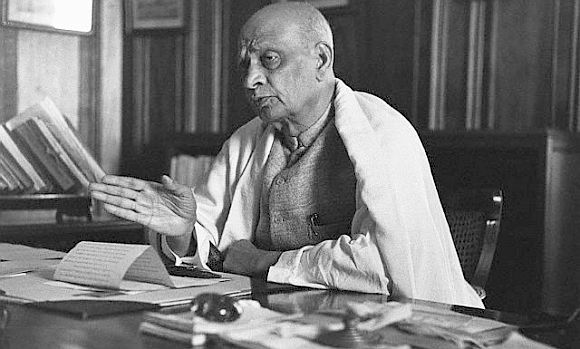 "My suggestion to the prime minister is...with the help of China, you can get the statue made, install it, but real tribute to Sardar Patel would be that he should put a bronze plate or a copper plate, on which Sardar Patel's order banning the RSS is written along with the the correspondence between Sardar Patel and Guru Golwalkar, under the statue," Sharma said. To a separate question on 2008 Malegaon blast case accused Lt Col Prasad Purohit, Sharma said terrorism in all its forms and manifestations has to be fought and condemned. "We have always maintained as a party that terrorism has no religion, they actually do more harm to people they claim to represent nor do they have any mandate or sanction.